Depends what kind of cooler do you have. If it's the box one, then yes, 48c is normal. It's normal, especially if you have a closed case with minimal airflow inside. is my cooler. and again I have bought 8RDA3+.There is a sensor at the cpu socket for calculating the temperature.My cpu is 3200+.There is also a yellow cooler.Is it normal that the temp. of the CPU is arriving up to 48 C grades? Hmm, if it's the SLK800A then it is a bit high. Mine is 40c at full load. Is the heatsink seated properly? Once I managed to put my SLK800A at an angle and the temp. was around 50-60c. 45c is fine especially with a 3000rpm fan. but the point i can not get is,how come with the other Mobo it was about 35? Very nice Zagreb, live there? 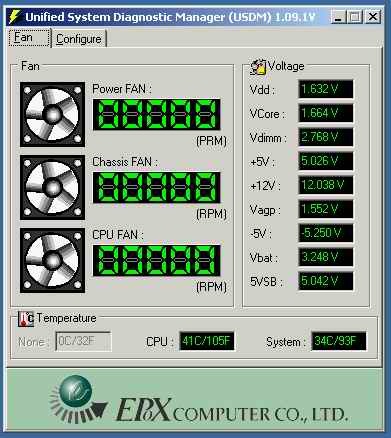 43C in full load using homemade water cooling and "eleven's" cpu block, in 8rda3+ v1.1, at 2622Mhz using 1.95Vcore, are good or too much? 8RDA+ and 8RDA3+ have the same way of reading temps. Please don't compare with some Asus models (e.g. A7V8x-x) that read temps usually 6-10C higher. 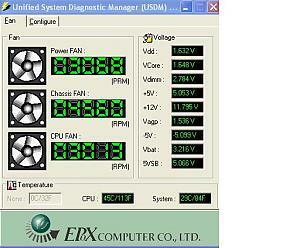 I agree with Veky that the temps are a bit high considering that you're using SLK800A. 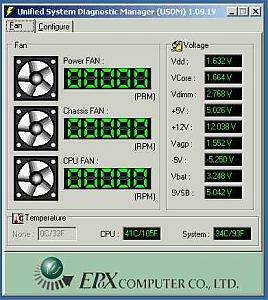 Here's a test that you can perform to see if you need to re-seat the Heatsink. 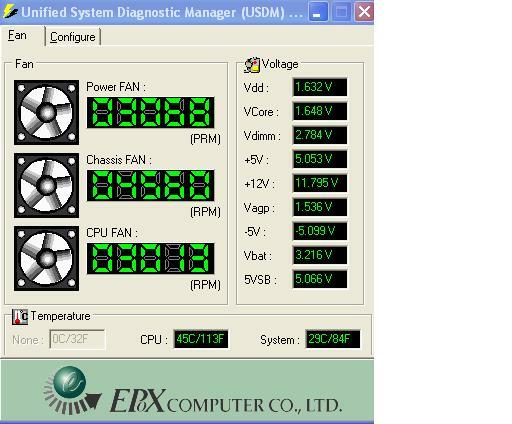 Open the side panel of your case, set the TT case fan to medium setting, direct a fan (electric fan will do fine) directly to the general area of the CPU, leave the PC running for 15min and take the temps again. Aah, that's because the 8RDA+ 1.0 and 1.1 read the temp. 8-10c lower than the 8RDA3+. Rev. 2.0 and up of the 8RDA+ read the same as 8RDA3+ .